Sometimes it seems that the number of requirements for running a plant keeps going up, and regulations keep changing cutting into the bottom line. This is how a lot of clients I have worked with in the past have approached getting a power system analysis completed, they needed labels on their equipment to satisfy the requirements of CSA Z462 and NFPA 70E, so they needed an arc flash study. It was an expense, nothing more. However, if you define the scope (the first step in performing a power system analysis) smartly, you can duplicate effort without duplicating cost, and use the report to make smart decisions that will either save money immediately or identify capital projects with very fast payback. According to NFPA (source-pdf) the average shock or arc flash injury event can cost $80k in direct costs, if indirect costs are included this can be much higher. However, according to that same paper there are no valid ratios to estimate this. With a power system analysis in hand, an effective electrical safety program can be developed that will directly affect the number of these incidents. The number of these incidents are typically very low, however the high cost of a single incident will pay for the power system analysis and electrical safety program many times over. Competitive pulp and paper mills have at least a preventative maintenance program, and a lot are moving to a predictive maintenance program. The most important part of these programs, like a valid power system analysis, is the quality of input data. When going through the process of validating all the input data for a power system analysis, it would be a simple matter of gathering the information for your maintenance program without duplicating effort. It is likely the same staff that will be doing the work in anycase. With better information, including short circuit values, expected load flow voltages, etc, you can feed this information into the maintenance program and understand when equipment may fail, allowing you to plan its replacement without affecting the process. When going through the system and gathering all the necessary input data for the incident energy study, you have all the inputs for proper load flow study, and all you need is some existing load information that can be gleaned from the power meters throughout your mill. sometimes a power factor charge. You can minimize your power factor and energy fees by making sure that you are running your system as close to unity power factor as possible. 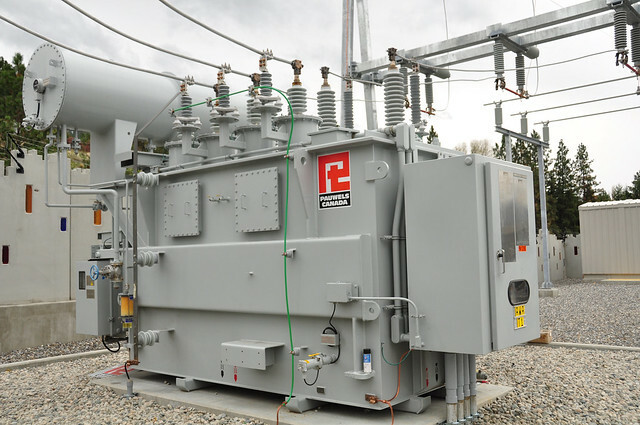 With a proper power flow study, you will be able to identify areas within you plant that would be best suited for adding power factor correction capacitors and quickly identify the potential payback. Finally, and likely an over-looked part, is that you will have updated drawings as part of your power system analysis that are very accurate, current, as-built conditions. These drawings are now trusted inputs for any capital or maintenance projects that may take place in the future. One of the biggest risks to integrating into any existing system, is the quality of the existing documents, and the cost of having a consultant on site developing as-built drawings will increase the cost of a small project quickly. Having these drawings on hand, and assuming you have a document control procedure in place, the consultant replacing a motor or adding a new system will have the best information starting, reducing the design time, construction issues, and start-up concerns. If you like what you read consider joining our newsletter where you will get every post in your inbox at the start of the month. You will never miss a thing. If you would like to learn more about how a power system analysis can help you manage your system better and safer, contact us here, or visit our services page here. And if there is someone you think would benefit from this post we appreciate any share on facebook, linkedin or the old fashioned email. Over the last couple of weeks I’ve talked about the steps to get a power system analysis completed, and the different execution strategies. Today I want to talk specifically about cement plants. Cement plants have a cyclical profile where they are producing product before the building cycle, and full out throughout the building cycle (spring to winter) to keep with demand, then annual maintenance in the winter until it is time to get started again. The cement plant power system is large and complex, with a range of voltage levels from 100kV to 120/208V. If you are starting from scratch at the plant, or if you (or the person running the project) don’t have a lot of experience with power system studies, it is best to chunk out the system in bit sized chunks. But make sure that how you break out the system is done in such a way that you will have a useable product at each stage. For example, we recommend that you model the entire MV system, from the incomming from the utility down to any 5kV that is on the plant. This will allow you to address all the large motors, generation and utilities on the site that will account for the majority of the fault availability. Depending on the size of the system and budget, this may be all that you get done in the first round. The next step is to pick one of the feeders in your system, or a single area of the plant and complete the model (and report) to the 600 V (or 480V in the US) system and include all motors 25hp and over, and to the secondary of any 120/208 distribution panels. Motors less than 25hp will likely not affect the available back feed into a fault, and therefore can be neglected. The 120/208V distribution panels may be contentious and not needed at your facility. I have typically neglected them in the past, however there are still a lot of electricians that will work on a panel at this voltage energized without a second thought, I have started recommending labeling these panels with full Arc Flash/Shock Warning labels with the intent of raising the awareness that the hazard is still present, and PPE is required. In the 2015 revision of NFPA 70E mining was removed from the exceptions, and MSHA has endorsed NFPA 70E as the standard for PPE selection with regards to arc flash. What this means to you is that NFPA 70E is the de-facto workplace electrical safety standard for cement plants. Having a current (every 5 years) arc flash analysis, which includes a power system study, is a requirement for any successful electrical safety program. If you aren’t in a position to get started with a power system analysis at your cement plant today, sign up for our power system newsletter and you will receive a technical spec that you can use to get pricing when you are ready to get started. If you are ready, to go NOW, give us a call and we can provide a free quote and execution plan to ensure that the report meets all operational needs of your engineering and safety groups. As always, if you have any comments or questions, don’t hesitate to give me a call.